The problems that most homeowners face is keeping their gutters clean and preventing any interruption to the flow of water. Nobody wants to spend time climbing up ladders, removing all the dirt and bringing them to the ground, but this is to be done if you have any notion of preventing water from overflowing the gutter and filling your lawn. The wonderful product that will keep help you with this situation is Rhino or Easy On Gutter Guard. 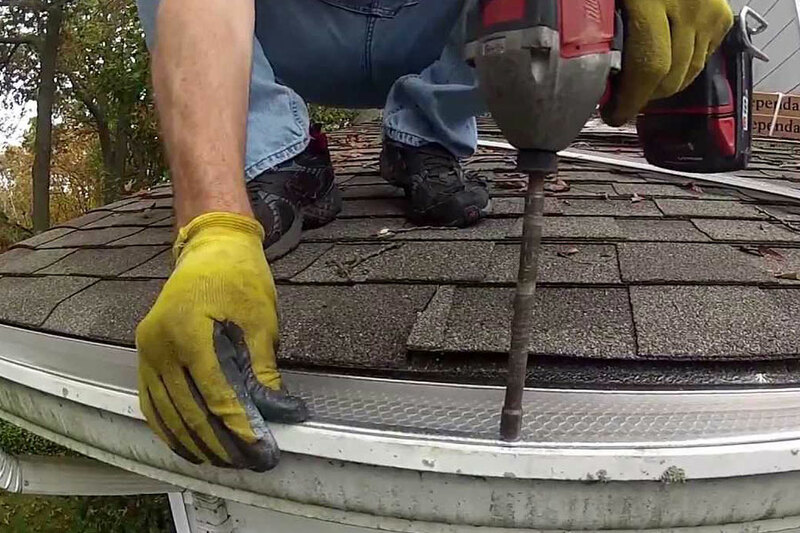 But most people are not sure whether they are the best when it comes to dealing with clogged gutters and whether they really work or make the matters worse. Let us take a deeper look. If you have a house that is surrounded by trees, you will have to clean the gutters at least three times a year. The number can go up if there is dense vegetation around you house. If you are lazy not to perform them, you know what will happen. The main problem associated with cleaning gutters is that is time consuming and is extremely difficult. Also it is not safe to work on your roof as there is a very high chance of you ending on the ground with broken bones. Gutter guards eliminate the need to get on top of your roof and clean the gutters. All the guards work the same way. They will be fixed on top of the gutter and is installed to prevent leaves and other solid things from going into the gutter. The question is whether they are effective in keeping the leaves out of gutters. The answer is in somewhere between yes and no. The fact is that all gutter guards will prevent the roof gutters from being clogged. It is also true that most guards are not effective when it comes to keeping away debris. They do not do much to keep out seeds, small leaves and things of such size out of the gutter. In the long run the gutter will get clogged by such small particles and will need to be cleaned in order to function properly. The bottom-line is that all homeowners should get gutter guards but keep in mind that it will not keep away everything from the gutter and you will have to clean it at least once a year. But they are quite effective in keeping the number of times you have to clean the gutters at bay. So, even if you have a good guard, clean the gutters before the rainy season. If you are afraid to get on the roof, get it done by a contractor. 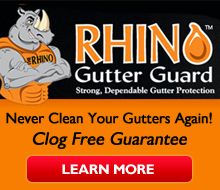 If you are looking for plugged gutter solution, consider the best option, check today Rhino Guard. Need to save a little money, and get a great Gutter Protection system, Consider Leaf FREE, the best Shelter Guard available, and at a great Price! No Replies to "The Reality Of Gutter Guards and the Problems they Prevent!"